We endeavour to be of good service to all our clients by planning and designing the most cost-effective projects and manage solutions during the execution phase. The Vanderbijlpark Offices of Lyon and Partners was established in August 1984, when Martiens Lyon joined the company Du Plooy, Bosch and Associates based in Pretoria. The first project in 1984 from this office was a bulk, 11 kV overhead line from Viljoenskroon Substation to the Industrial Area in Viljoenskroon. The intention was to explore the market for consulting electrical work in the Southern Gauteng and Northern Free State Provinces which later grew to establish Lyon and Partners’ services footprint to the Southern and Central African region. When Martiens became a partner, the name changed to Du Plooy, Lyon and Partners in 1994. Doep du Plooy then decided to go on pension and to render specialist services to only some of his preferential customers. 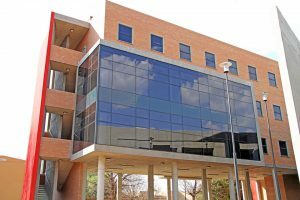 This resulted in the conversion of the Vanderbijlpark offices to Lyon and Vennote/Partners in 2002, which was later subject to a name change to Lyon and Partners (Pty) Ltd in 2016. 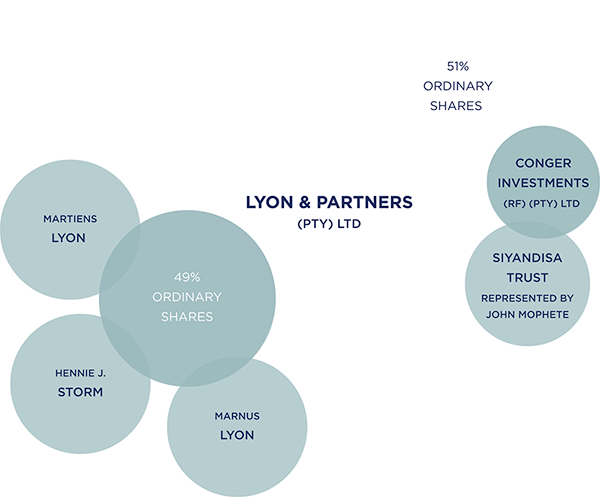 During 2016, Siyandisa Trust obtained 51% shareholding in Lyon and Partners through its special purpose company, Conger Investments (RF) (Pty) Ltd. Siyandisa Trust is a 100% black-owned investment firm taking up equities in South African companies. Lyon and Partners (Pty) Ltd is a Level 2, B-BBEE rated company. Lyon and Partners is a member of the Consulting Engineers of South Africa (CESA) and fully subscribes to the Constitution and Code of Conduct of CESA. Lyon and Partners was also granted a registered commitment and undertaking in respect of electrical candidate engineers and the establishment of a mentorship scheme in accordance with the Engineering Council of South Africa (ECSA) training requirements. The Clients’ point of contact with Lyon and Partners is always through one of the Company Directors allowing for decisions and action to be immediately taken without delay. Lyon and Partners as a company have refined our skills and technical abilities over more than 30 years in terms of Design, Supervision and Project Management of various Electrical Engineering disciplines and Multidisciplinary Engineering Project facets. 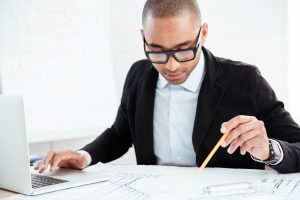 Determine the problem or need to which a solution is required by means of an Engineering brief and ensuring that our client’s preferences are covered. Establish a high-level scope; clarify what the project entails, project objectives, milestones, expected constraints, challenges and assumptions. For some clients, this includes the application and obtaining of funding to materialize the project. According to the outcome of the Engineer’s brief, the project will be conceptualized for review by the Client. The required deliverables for the project are established, the refined project scope is clarified and the preliminary project programme is determined. High-level design is completed as a basis for the detail design which will follow. The detail designs for the project are compiled and finalized. 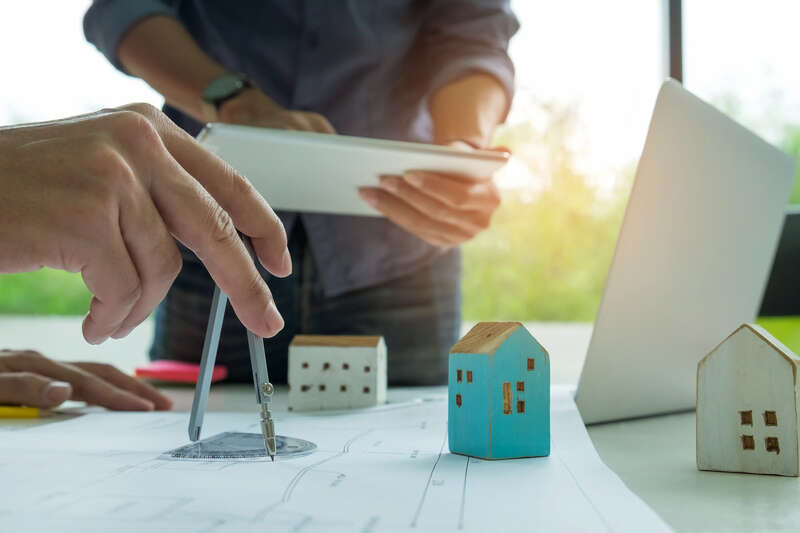 Our development stage involves studies ensuring the design schemes are both technically sound, complies with statutory requirements, follows a cost-effective approach and is realistic in terms of the delivery time of the end product. Detail design drawings, specifications, quantities and contractual requirements are reconciled and put out to market to obtain prices. Our role in procurement involves adjudicating and the scrutinizing of tenders to ensure a high quality, a cost-effective project can be delivered on time and to the client’s satisfaction. We manage, administer and monitor the construction works, finances, contractual requirements and timing. Inspections, testing and commissioning are carried out and the Client is kept up to date by means of the relevant progress reporting and meetings. If requested, full-time site supervision is provided. For EPC projects, the same methodology applies, with the addition of construction responsibilities under Contract Administration and Close-Out. Construction responsibilities involve additional risks and higher indemnity insurance, whereby Lyon and Partners will be the Engineering and Construction contractor responsible for detailed engineering and design, equipment procurement, installation, testing, commissioning and handing over. The duties of Occupational Health and Safety, as well as Construction Regulation, are also included and taken care of. Ensure that all project requirements are met and that the project is handed over by the implementing agent. Close-out reports are compiled including financial reconciliations and as-built information. Following the close-out of a project, a client satisfaction survey is completed to continuously improve our service delivery and to ensure that a high-quality service is rendered. 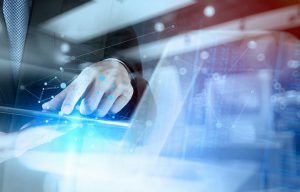 The firm has invested in various hardware and computer-aided facilities such as data loggers, testing equipment, CAD systems and software for design purposes, processing, compiling and analysing of data and information. Electrical installations in buildings, hospitals, shopping centres, factories, hotels, casinos etc. Electrical reticulation networks for residential, commercial and industrial areas and also upgrading of existing networks. 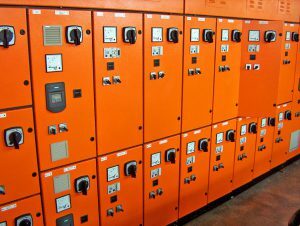 Medium Voltage bulk electrical supplies and switching stations. Electrical Subtransmission overhead lines and underground cables. Pump stations, waste water and water treatment works. Industrial electrical installations and control systems. Feasibility investigations and outline scheme / services report. Project management, funding applications, inauguration investigations, cost estimates, preliminary designs, feasibility studies, final designs, specifications, planning and coordination, supervision and commissioning during final construction stages. We also take care of the submission of “as-built” drawings and operating and maintenance manuals. Microstations and Autocad for all CAD drawing work. 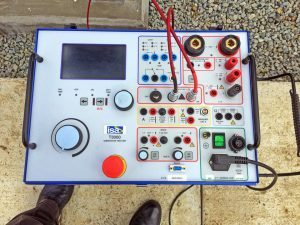 CART, PowerFactory and Retic Master to design electrical reticulation networks. Powamaster and DigSilent PowerFactory for masterplanning and to calculate Fault levels, perform load flow studies and coordinate protection requirements etc. PLS CAD and PLS POLE for subtransmission overhead line and support structure designs, EMF & conductor thermal rating calculations. CBI and Ecodial for switchboard design and circuit breaker grading. Microsoft Project for Project Management. RELUX and Ulysses for lighting design and lighting layout. CDEGS Autogrid Pro and SafeGrid for earthing designs and analysis. Fluke earth resistivity meter for soil surveys. Fluke and Netloggers for data logging and analysis. 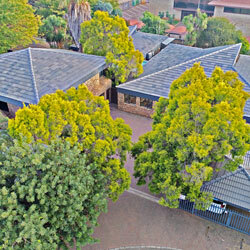 Siyandisa Trust is a black investment firm operating in the B-BBEE investment environment and taking up equity in South African companies utilizing specialised solutions and investment structures, including private investment, debt funding and self-funding mechanisms, to invest in identified partner businesses. 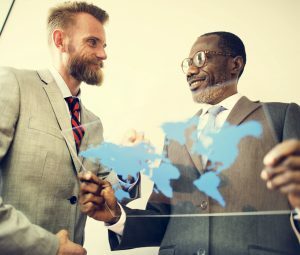 Siyandisa Trust’s vision is focused on providing efficient and sustainable Black Equity solutions for its partners through the taking up of private equity investments in South African companies across multiple sectors and working with reputable service providers to provide B-BBEE support to partner companies. Substation projects are one of Lyon and Partners’ preferred fields of expertise. We have executed several Key Customer substation projects for Eskom, Municipalities and Private Developers. 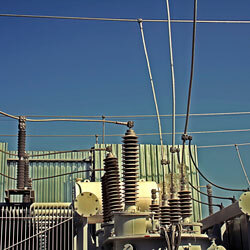 These projects cover a range of transformer sizes from 1 MVA to 80 MVA. 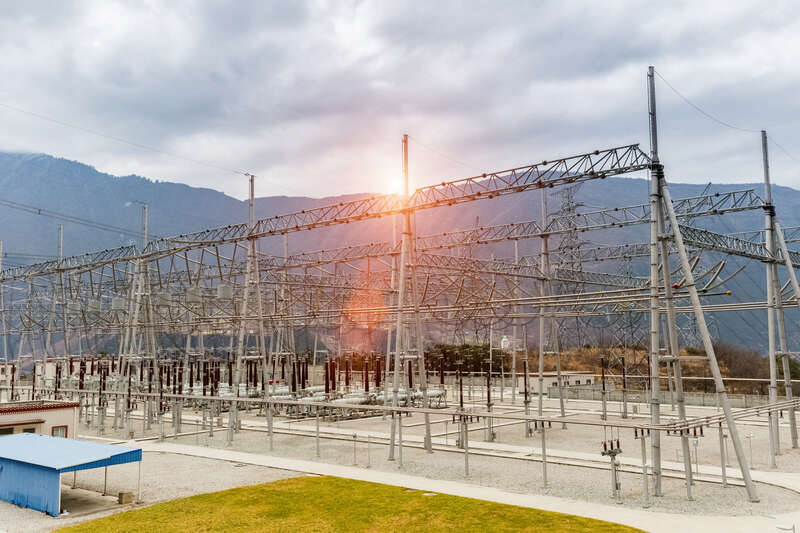 In our projects, we address the complete substation design package requirements, consisting of both Primary and Secondary Plant equipment, earthing, lighting, lightning, telemetry, etc. We do, however, outsource the Civil and Structural designs, depending on the complexity of the project. For the design of the earthmat, we make use of CDEGS Autogrid Pro or SafeGrid and for protection, PowaMaster or DigSilent PowerFactory is utilised to calculate protection setting gradings. Most of our designs are based on the Eskom Standard Modular Design. We have successfully designed and executed various types of substations such as conventional outdoor AIS, GIS, high-bay and hybrid approaches. We have also been involved in various Substation Refurbishment Projects which evidently require special attention in terms of safety, outages, project programming, planning and management. Subtransmission lines usually form an integral part of substations. Two of our most interesting and challenging overhead subtransmission line projects were the Simplon to Steenberg, 132 kV BERSFORD overhead line where the line traverses over a gorge in the mountains consisting of span lengths between 800 m and 1,2 km long. The other is the Gautrain Project where an existing line between Main and Super sub close to the OR Tambo International Airport had to be elevated in order to make provision for the Gautrain to pass underneath the elevated line at a height of 30m to enter the OR Tambo airport terminal. For our subtransmission overhead line design, we make use of PLS CADD. PLS CADD is a very powerful overhead line design package calculating pole strengths, automatic pole spotting, sag and tension tables, line profiling, EMF, conductor thermal rating, sequence impedances etc. In our subtransmission line projects, we take care of all aspects of the project, namely, surveying of the line route with all relevant field information, negotiations with landowners, registering of the servitude, environmental impact assessment as well as the construction of the lines. The PLS software is used for custom structural designs and optimisation. Due to the cost of high voltage underground cables, we carefully calculate the most cost-effective solution. 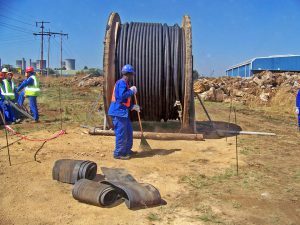 We have been involved in various projects to replace old cables that have reached the end of lifetime and the designs for new subtransmission cable installations. Lyon and Partners were responsible for the design and project administration of numerous electrical reticulation projects of over 100 000 stands. These projects vary between overhead, underground and hybrid networks as well as link services, consisting of switching stations, switchgear, feeder cables, feeder lines etc. These projects were done for Eskom, Municipalities and Private Developers. For the Municipal projects, we are also responsible for applying and obtaining of funds from the Department of Energy (DoE). Due to limited funds available for electrification, we have managed to do exceptionally cost-effective designs without sacrificing performance and quality. For these designs, we utilise CART, which is a design tool developed by the Electrical Department of the University of the Witwatersrand, and interfaces with the MicroStation CAD programme. ReticMaster and CART are powerful design tools for calculating voltage drops up to the Customers connection, load diversification, loading of all feeder cables, transformers and creating a schedule of quantities of all equipment used. Lyon and Partners have extensive knowledge and experience on the design of Pump Stations, Waste Water and Water Treatment Works. The design includes the electrical bulk supplies, Motor Control Centres with soft starters and variable speed drives, Emergency generators, SCADA control, Programmable Logic Controllers (PLC’s), Fibre optic, Data networks, instrumentation and analysers. The design also includes the methodology required for plant and process control that is done in conjunction with the Process Engineer. The latest SANS, IEC and other relevant standards are applied to all designs and quality control inspections are performed throughout the manufacturing and construction phases. Recent projects include Highbury Water Treatment Works (100 Mℓ/day), Sebokeng Waste Water Treatment Works Module 4,5 and 6, (150 Mℓ/day), Parys Waste Water Treatment Works (15 Mℓ/day), Midvaal Waste Water Treatment Works (20 Mℓ/day), Heilbron Waste Water Treatment Works (15 Mℓ/day). Lyon and Partners was involved in various building and high rise building projects which include the Emerald Casino, University complexes, Hospitals, Schools, etc. The Emerald Casino & Hotel was probably the most significant building project undertaken and involved a lighting design, power layout design, telephone network design, computer networking, security and access control systems. Part of the project included backup supply by means of uninterruptible power supplies for the Casino floor, slot machines and security cameras, as well as two emergency generating sets of 800 kVA and 1,2 MVA. The generator sets were connected via a step-up transformer to the 11 kV supply. This was necessary not only to provide backup power to the casino floor area but also to the hotel, Aquadome, leisure area and restaurants, etc. The Relux programme was used as a design tool to design the lighting layouts. In order to do these designs, all the photometric data had to be obtained from the relevant light-fitting suppliers. 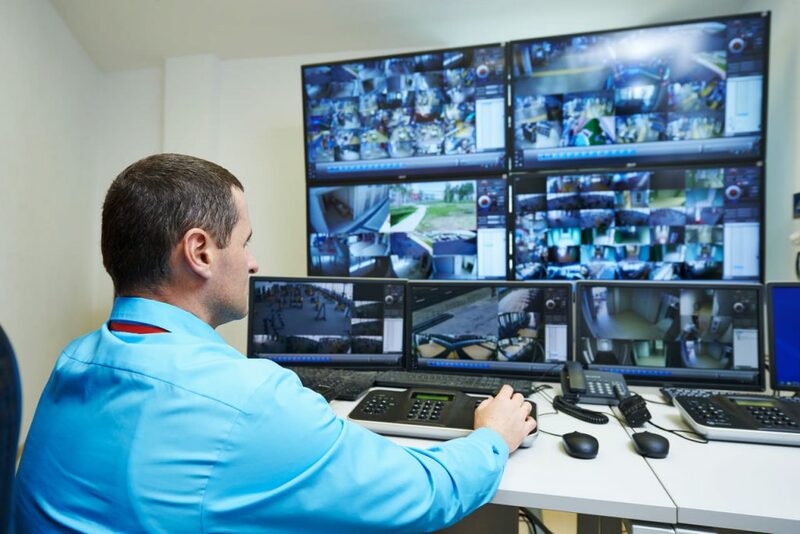 Similar to building services, Lyon and Partners offer expertise in Integrated Security Systems. Lyon and Partners were successful in completing the designs for over 32 substations and depots for City Power of Johannesburg, which over and above includes multiple National Key Point sites. 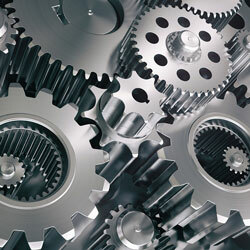 We endeavour to offer specialized and modern services through partnerships with industry experts. L yon and Partners conducted several projects as Project Managers especially for Eskom’s Key Customer Projects namely, De Beers Mines, Anglo Platinum Mines, Aquarius Platinum Mines, Chrome and Ferrochrome Plants. Lyon and Partners’ most notable project management involvement was for the Ngwedi MTS integration plan to relieve load from existing power stations and transfer load to the new Medupi power station. Lyon and Partners’ appointment was as Principal Agent and Project Manager for the Ngwedi MTS Integration Project of R 521 million. The scope was to integrate new Ngwedi MTS with 2x 500MVA, 400\132kV transformers into the Ararat 88kV network to de-load the overloaded Ararat SS. Convert Boschkoppie SS, SA Chrome SS, Ruighoek SS, Manyane SS and Mogwase SS to 132kV. Replace Sun City SS with Ledig SS. Also integrate the Direct Customer Projects i.e. Impofu, Bakubung and Styldrif. For this project, Lyon and Partners also became extensively involved in all discussions and negotiations between Eskom transmission (Tx) and distribution (Dx) as well as the Key Customer Projects. The Ngwedi MTS Integration Project consisted of several Sub-projects managed by other consultants. Martiens Lyon and Hennie Storm are both registered as Professional Project Managers with the South African Council for the Project and Construction Management Professions (SACPCMP). This registration is required by law for all capital projects. Project Management is conducted according to the PMBOK principles, which includes interface management, time management, quality management, contracts management, procurement management, cost management, risk, health and safety management. Programme management, as well as cost management, is done with the aid of Microsoft Project Management tool. After the baseline of the project has been fixed, cash flow schedules are calculated and through the course of the project the scheduled and actual percentage progress is calculated for each relevant task or activity. This aid assists us to determine the areas where the contractor is falling behind programme so that correctional action can be taken to bring the programme back on track. The cash flow portion of the programme also assists us to determine cost overrun and assist the Customer of how his monies will be spent throughout the course of the project. Part of the programme management is to perform risk assessments for both safety and time. Safety risks are identified and the contractor is then instructed to draw up schedules of how to mitigate these risks. Microsoft Projects assists in determining the critical path of the project and this ensures that target dates are met. Lyon and Partners are involved in the Master Planning of the electrical networks of several Municipalities. Part of the Scope of Works for Midvaal Local Municipality was to do an aerial survey by means of aerial photography to an accuracy of 1 m contour levels. With the aid of the aerial photos, overhead line routes have been planned as well as the positions of proposed substation sites. Valuation of the line routes was obtained from valuators and used as the basis for negotiations with landowners. After all the agreements were signed with the landowners, surveyors were appointed to survey the line routes and to register these routes at the office of the Surveyor General. Attorneys assisted us to register these routes with the Deeds Office. Part of the Master Planning for the electrical network for a 10 – 20-year horizon is to do load forecasting based on a kVA/area design norm which is dependent on various factors such as coverage, density, load type, etc. This design norm is adjusted for an industrial area development, commercial area development--------or residential area development. PowaMaster/DigSilent is used as a design tool and the existing HV and MV networks are simulated on PowaMaster/DigSilent in the form of single line diagrams. Load flow calculations of the electrical network indicate which cable and transformer areas are overloaded based on a design norm of 70% of their transformer installed capacity. This enables us to determine a 5-year refurbishment programme. With this information available, grading studies are also undertaken to calculate the protection settings of the various switching and substations. 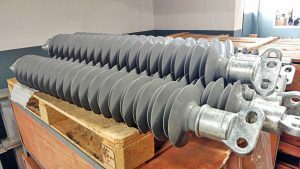 These protection studies are highly important to every Municipality or electrical network, due to the fact that the correct settings protect the fairly expensive------electrical plant and equipment from overloading and to limit unnecessary outages if correctly graded. All the studies and findings of the Master Planning are concluded into a report with drawings of existing and proposed future network diagrams. 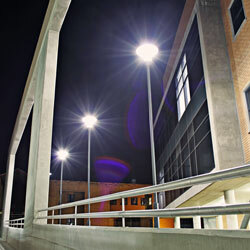 Lyon and Partners are involved in various aspects of public lighting such as streetlights, high mast lights, decorative lighting, sports facility lighting, etc. Compliance with standards as well as the safety of the general public is ensured. Audio Visual considerations have an enormous influence on the look and feel, ambience, first impression and practicality of any educational facility, sports and recreational facility, public areas such as airports and also business. 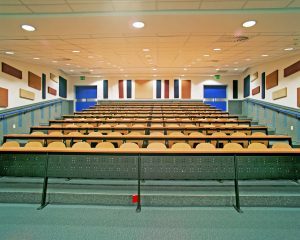 Audio Visual systems can be a great communication tool for numerous scenarios such as lecturing or business collaboration. 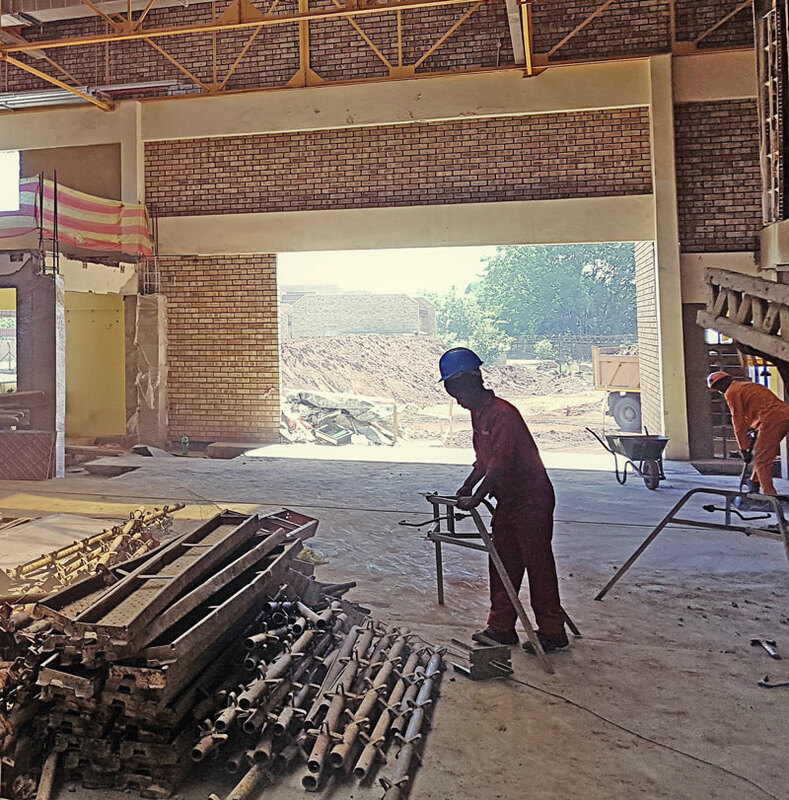 A highlight is Lyon and Partners’ appointment for the electrical, as well as the audiovisual installation for the Auditorium building at the Vaal University of Technology. The building consisted of 21 auditoriums with seating ranging from 120 to 300. The installation consisted of an integrated audiovisual and lighting system. The lighting system is controlled from the podium where different schemes could be selected with a controller. With the selection of these different schemes, the audio visual system would respond in relation with a corresponding scene, the media switcher and controller system would activate screens, projectors, input sources, (Microphone, Computer, DVD or Visualizer and Slate) and dim the lights according to the selected scene. The system is also ready for video conferencing and media recording. The audio system was designed to match the size and acoustics of the auditorium. 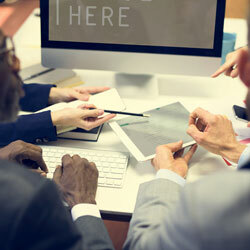 The end result is a functional and effective learning, business and collaboration environment. T he extensive knowledge and experience of Lyon and Partners in the electrical infrastructure enables the firm to conduct detailed audits and investigations, especially on municipal electrical infrastructure. During the audit and investigation field inspection, the condition of the equipment is evaluated against the relevant regulations for safety and current good practice. The infrastructure owner will be informed of any defects, the consequences of the defect as well as the most cost-effective solution to remedy the defect. Audits and investigations also include root cause analysis on power systems in case of failure or catastrophic failure. 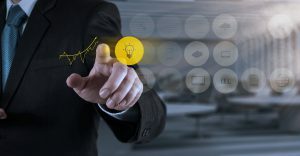 The Lyon and Partners team has the ability to rapidly mobilise and respond to failures, identify the root cause, report on possible temporary and permanent solutions and implement the favoured solution in order to minimise grid downtime. One of the most notable projects was the compilation of a detailed asset register for Emfuleni Local Municipality. In order to compile a detailed asset register for ELM, all plant and equipment were inspected to determine the age and condition. 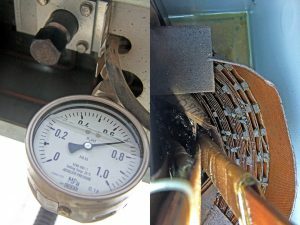 During the field inspections, any defect was recorded and included in the final report with recommendations to remedy the defects and to address potential equipment failure. With a catastrophic failure at a primary indoor GIS substation, Lyon and Partners assisted the client with an emergency repair plan and the implementation thereof. 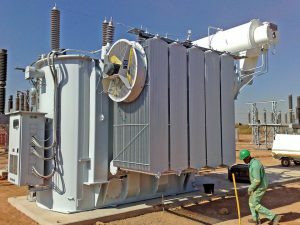 Lyon and Partners has performed several high complexity project investigations in the past, mainly for Eskom, such as a Base Metal Refinery Plant Substation, where only one outage was granted by a Platinum Producing Plant for Anglo American, as well as the refurbishment and redesign of a 2 x 10 MVA Substation to take load when Camdon Power Station was put back into service after been mothballed for several years. Lyon and Partners have extensive experience in design, selection, protection and installation of standby and continuous operating generating sets. Applications range from Waste Water Treatment Plants, Water Treatment Plants, Factories and Office Buildings. Generator integration methods differ from straightforward manual control, automatic changeover between utility and generator power, to the complex integration into an MCC where a PLC controls the operation of critical and non-critical equipment in various operating modes. Generating sets can be integrated into Low Voltage or Medium Voltage networks. 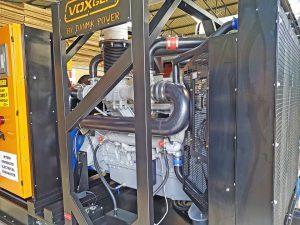 Installations include Sebokeng Waste Water Treatment Works, Meyerton Waste Water Treatment Works, Pakworks etc., with generating capacities from 30kVA to 1.6MVA, in single and parallel operating mode. Although Engineer, Procure and Construct (EPC) projects are not Lyon and Partners’ core business, several EPC projects have been successfully completed and handed over by the company in the past. 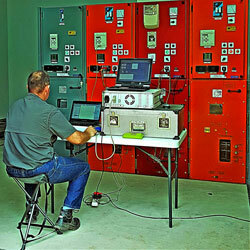 EPC projects taken on are primarily at subtransmission level or within the industrial industry. Full responsibility is taken for all aspects of the projects such as environmental approvals, health and safety, lands and rights issues such as negotiation as well as purchasing and registering of servitudes. A competent team is mobilised during construction stage to deliver a quality but cost effective end product or project. Emphasis is placed on the testing and commissioning stage to ensure that the plant is operational in accordance with the customer’s needs. Lyon and Partners are able to analyse and perform feasibility studies for various engineering projects. This includes a preliminary design with a basic scope of work, a cost estimate and an estimated project delivery period. 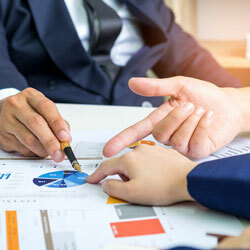 Together, with the client’s requirements, it is resolved whether or not the project is feasible based on the outcome of the techno-economic evaluation, this outcome is formalised in a feasibility report. For new developments that are deemed feasible, an electrical outline scheme or services report is compiled and submitted to the competent electrical supply authority for approval in order to allow the town planning process to proceed. This report will outline all high-level design parameters, i.e. 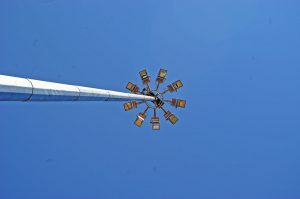 for mixed usage developments, the zoning of stands, square meterage per equivalent unit, floor area ratios and resultant electrical loading, type of public lighting, and type of electrical network which, is either overhead, underground or a hybrid system. The purpose of a tariff investigation is to do a cost of supply study to determine the revenue earned by the Municipal Tariff Structure for selling electricity and that such structure is aligned with the cost of the supplying of electricity. The study assists the Municipality during the submission of the tariff approval process to the Electricity Regulator (NERSA) and to be able to demonstrate the cost drivers required for any tariff increase application. During this exercise, all relevant billing information will be obtained from the financial department of the Local Municipality, such as Eskom billing information, key customer billing information, energy consumption information for domestic users, business (small power users) and industries (LPU’s). In addition hereto, the balance sheet of three previous financial years, as well as the income statements, must be obtained. The existing tariff structure must be collected as well as the asset register of the electrical plant. The above data collection information, as well as the tariff structure, will be reviewed together with the number of domestic, business and industry consumers in the various areas of the Municipality. During this exercise, the team compiles a financial model consisting of the balance sheet and income expenditure statement. For this task, it is important to note that the information of the electrical department and network should be ring-fenced in order to derive the capital employed, fixed and current assets and that only the expenses applicable to the cost of repair, maintenance and salaries are those of the electrical department. Energy losses are calculated together with load factors and included in this exercise. In this section, the client-based model is developed to calculate the energy sales in kilowatt-hour (kWh) for the various tariffs, namely: domestic, business and industrial. From this information, the revenue derived from the sales are calculated enabling the team to calculate the average cost of supply and comparing selling price versus purchase price. 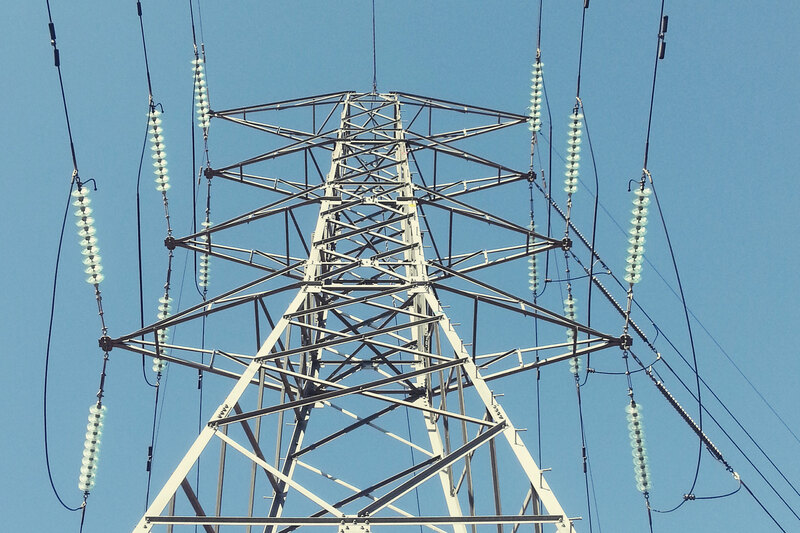 For new bulk electrical connections, bulk capital contributions must be calculated for the strengthening of the upstream electrical network. Attention is given to cost drivers and the comparison of drivers with benchmark cost drivers issued by NERSA. A proposed tariff is calculated for domestic, business and industrial use that is submitted to NERSA for tariff increases.